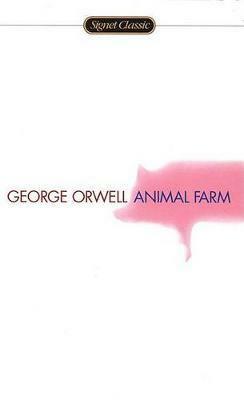 Since its publication fifty years ago, "Animal Farm" has become one of the most controversial books ever written. It has been translated into seventy languages and sold millions of copies throughout the world. This edition is being published to commemorate the fiftieth anniversary of its original U.S. publication. It features 100 full-color and halftone illustrations by world-renowned artist Ralph Steadman. As vital and relevant as it was fifty years ago, "Animal Farm" is a devastating satire of the Soviet Union by the man V. S. Pritchett called "the conscience of his generation." A fable about an uprising of farm animals against their human masters, it illustrates how new tyranny replaces old in the wake of revolutions and power corrupts even the noblest of causes. Edition Statement 50th Anniversary ed.